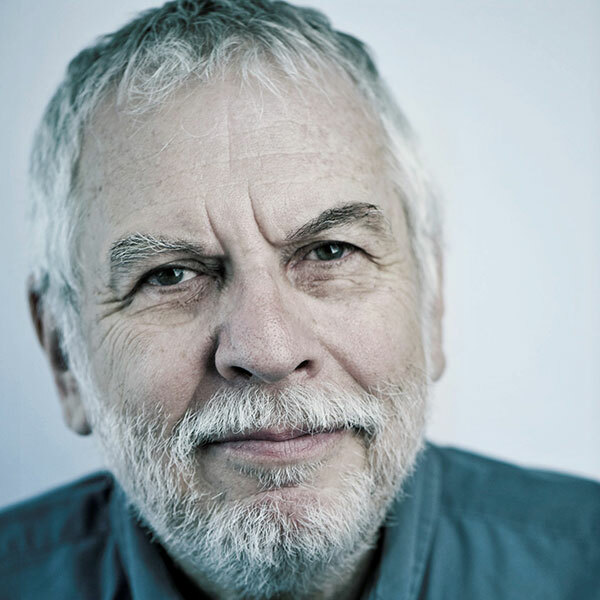 Nolan Bushnell is a technology pioneer, entrepreneur and scientist. Often cited as the father of the video game industry, he is best known as the founder of Atari Corporation and Chuck E. Cheese Pizza Time Theater. Bushnell was the first and only man to hire the late Steve Jobs and wrote the bestseller, Finding the Next Steve Jobs, published by Simon and Schuster in 2013. Mr. Bushnell is passionate about enhancing and improving the educational process by integrating the latest in brain science, and truly enjoys motivating and inspiring others with his views on entrepreneurship, culture, creativity, innovation and education. His latest startup, Modal VR, is an end-to-end virtual reality platform that delivers large-scale and fully wireless immersion for multiple users at once. The Modal VR ecosystem delivers new possibilities and growth in the enterprise VR market. Additionally, his company Brainrush has developed video-game based learning software that incorporates adaptive learning technologies to vastly increase the speed and efficacy of learning. His Anti Aging games project helps seniors to avoid many of the problems of mental aging through game exercises that maintain mental flexibility and problem-solving. He was most recently featured in the New Yorker magazine for this effort. Over the years, Bushnell has garnered many accolades and distinctions. He was named ASI 1997 Man of the Year, inducted into the Video Game Hall of Fame, inducted into the Consumer Electronics Association Hall of Fame and named one of Newsweek’s “50 Men That Changed America.” He is also highlighted as one of Silicon Valley’s entrepreneurial icons in “The Revolutionaries” display at the renowned Tech Museum of Innovation in San Jose, California. In March of 2009, Bushnell was honored with the British Academy of Film and Television Arts Fellowship Award (BAFTA) the highest accolade the Academy bestows, for his outstanding creative contribution to the Video Games Industry. He was similarly honored with a LARA award from the German Academy of Entertainment. Currently, a biopic, tentatively titled Atari and slated to be produced by Leonardo DiCaprio is currently in preproduction. Chris Perry is an award-winning screenwriter, director, and producer with over 20 years of film experience and is an associate professor of Media Arts and Sciences at Hampshire College. Perry is also the founder of Bit Films, an independent studio in western Massachusetts that for over a decade has nurtured filmmakers working on short-format projects in a creative and collaborative environment. 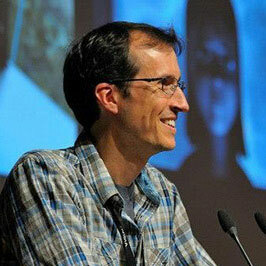 Before settling in rural New England, Perry worked as a programmer and generalist technical director in VFX and feature animation. He worked on A BUG’S LIFE, TOY STORY 2, and FINDING NEMO at Pixar and won a technical Oscar for the animation software he developed at Rhythm & Hues Studios that was used on LIFE OF PI and 17 years’ worth of other CG films. Perry holds an M.S. degree from the MIT Media Laboratory and an M.F.A. from UMass Amherst. Laura Scholl is a creative practitioner, technologist, educator, and maker. She was awarded a BFA in sculpture and computer graphics from UMass Amherst and an MSVS in interactive media arts and sciences from the School of Architecture, MIT Media Lab. She recently entered academia from industry as faculty in design and digital art. Her industry experience makes her an atypical faculty member, who offers a unique blend of creative, technological, and global business savvy to an academic position. In industry, she was a creative and technologist in media and entertainment, user experience, design thinking, writing, and product management. She has worked as an artist at Atari, Disney, Sony Pictures Imageworks, Digital Domain, as a researcher at AT&T/Lucent Technologies Bell Labs, and as a manager at Nvidia/Mental Images. In her faculty position, she teaches courses in visual design and computational literacy. She has integrated design thinking to empower students to take responsibility for their educational experience and make decisions about their individual practices. Scholl’s evolving artworks are visual analogues to music that comprise sensed data, fiber optics, programmable LEDs, gesso, and precious metals; this work seamlessly integrates design, light, and data to evoke transcendent experiences. 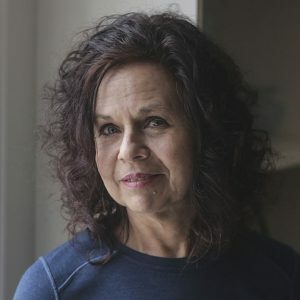 Her early artwork was exhibited at the Student Union Gallery, UMass Amherst ’80; inaugural SIGGRAPH ’81 art show, Dallas, Texas; the Library of Congress, Washington DC; and numerous university galleries. In 2016 her real-time, performative drawings accompanied Wichita State University’s Impulse Percussion Group. In 2017 her one-person show, ‘Resonate with stillness, experience light‘ opened at the Steckline Gallery, Wichita, KS. 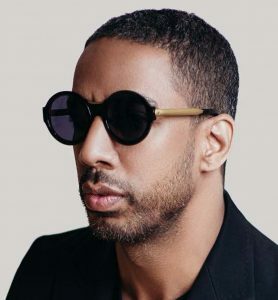 Ryan Leslie is a Grammy nominated recording artist, Multi-platinum producer and CEO of SuperPhone. In addition to logging in time with Madonna, Jay-Z, Kayne West and Beyoncé, Ryan is the architect and ultimate case study for his company Disruptive Media’s flagship product, an intelligent messaging platform called SuperPhone. Opting to remove his latest album from iTunes, he used an inbound SMS campaign to drive over $2MM in gross revenue by selling an album directly to just 15K fans. He holds a B.A. in government from Harvard and splits his time between New York, LA, Paris and Miami.